Give your magic item a quick history. Then use the history to tie a whole bunch of things together that will make you look like a genius. We’ll get into genius part in a sec, but let’s first create a simple background that you can do in just 60 seconds. We’re dealing with how the item came into existence. The item’s origin story. And this is always interesting stuff! I’ve assumed the item was crafted on purpose by someone or some thing, but that need not be the case. A magical event might have imbued a mundane item with powers. Or, if you’re using the Legacy Item system from Assassin’s Amulet, the item might have spawned from energies absorbed by great events or NPC deeds. Next, give the item a date stamp. While not required, this fact offers you additional context and inspiration. For example, is the item ancient or new? If so, that’s notable and worthy of further exploration to help detail the item and your campaign. If you have a campaign management information system, like I do for my campaigns using My Info, then a date stamp also helps you log the item into it. The goddess Cyrene bequeathed the item to her loyal guildmaster in CY245 to help him handle recruitment. Lightning struck the item not once, but three times. Each strike imbued the item with one power. This happened yesterday, to a PC (stinking behirs!) but he doesn’t know that the item he’s been carrying since level one is now magical. Lore Question #2: Who Used It Last? In most cases, owners dictate an item’s impact on the world. A magic sword offers no lore if it’s been sheathed since creation. To make history – and interesting campaign material – the blade requires an NPC to brandish it. On a finer scale, recent ownership can inspire plot. For example, if the item was stolen, the previous owner might want it back. Items are either loot or possession. Loot means the item sits somewhere waiting to be discovered. Dungeon crawls, museums and private collections are full of loot, for example. But that’s boring. We want to know who used the item last, which means it was a possession. So go back to that point the item was used last and jot a note about who used the item last and how the NPC became the owner. Who was the last owner? How did they become the owner? What did they use the item for, in general? Servis gave the item to the village’s strongest warrior, Urbat, who used it in many raids against the orcs. A foe finally defeated Urbat after many seasons and stole the item away. Guildmaster Avram used the item in his presentations to prospective guild members for years. He kept the item’s function a secret, but was never seen without his golden torque. He handed the torque to his successor, and ever since it has become a symbol of guild leadership. The PC carries the item in his backpack, ripe for a friend or foe’s detect magic. The main reason these quick facts help you is they offer a breadcrumb trail in your campaign. 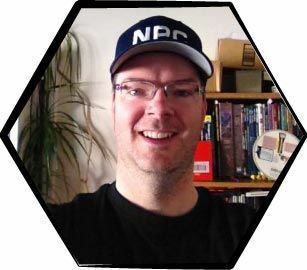 Armed with NPC identities, locations and past usage rumours, you can guide the PCs to the item, add the item to a PC’s background, incorporate the item into an adventure back story and so on. Simple details become great hooks and leads with just seconds of preparation. Next question offers you more grist for your campaign wheel. Name a time when the item brought good to someone or some place, and briefly describe what happened. Again, a one-liner suffices. More details are welcome, but if you do have extra time, keep creating past events when the item did some good instead of fleshing out details for just one event. You can always add details when working on other parts of your campaign or on-the-fly during the game. That’s where the genius part I mentioned at the beginning of this article comes in. Another time, Urbat used the item to kill an orc champion in a challenge with the orc leader. Urbat’s victory gave the village a one-season reprieve until the orcs reneged. Bratheon, the third guildmaster after Avram, used the torque to convince city counsellors to stay an execution. The criminal became a guild member, and the family never forgot this kindness. Now we dive into the dark corners of the item’s past. Name a time when the item brought harm to someone or some place, and briefly describe what happened. If you have more cycles, add more bleak spots to the item’s past. Urbat stumbled in combat and accidentally slew a friend. This sent Urbat into a funk that was not lifted until he met his future wife. Avram recruited Nial Crackhammer with the torque. Nial’s clan suspected foul play, and discovered evidence of the item’s magical influence. The Crackhammer clan remains a guild enemy to this day – plus they bear knowledge of the torque’s secrets. Questions three and four give you campaign depth with little work. This brief effort makes you a genius because the item becomes a catalyst and a unifying element. By having an item do good and evil, you create an intriguing past. The contradiction will make PCs even more curious. The good and evil events generate conflicting views, stories and legends. The PCs might even think they’re hearing about two different items, thereby creating a great future group Aha! moment. Instead of a ho-hum cardboard magic item, you have one that offers mystery, dilemmas and gameplay potential as players try to sort things out. Further, these stories of weal and woe give players hints about the item’s powers. Bonus points if you offer clues about the existence and nature of hidden powers or surprise elements. For your adventures and encounters, the conflicted history brings good and evil factions to the table. The bad guys hear of the item’s evil deeds and want it for their cause. The good guys hear of the item’s good deeds and want it for themselves. Optionally, each side wants the item to prevent their foes from using it against them! During design, we create a lot of details. Each bit of information tends to be its own island within your notes. This NPC over here, that place over there, this event in your adventure background, that event in your campaign history. Tie some of these details together using the history you just created for your magic item. Each time you link game elements together, you reduce prep work and add depth to your world. You can even use this to generate some plot. Who did what when to whom? Your item history can take disparate facts from your notes and noggin, and start building such statements in your campaign background using NPCs, places and things drawn from item history tid bits. You connect stuff. This increases detail for what gets connected, which is great. But it also reduces the number of game elements you now need to track. It’s like a video game where smaller blobs combine into big blobs, and the big blobs get new features and properties from the merge. For example, you need a village for your adventure. Normally, you’d put a dot on your map and declare that the village. Then you start developing the village a bit. This time, you make the village the same one Urbat protected for all those years. Boom. A small parcel of details borrowed from an item’s history instantly gives the village great details and campaign context. Instead of a new village and one more thing to track and design, you’ve got one place with a bunch of interesting details you can include or not, roleplay or not, as you run your adventure. Go through your item’s history and highlight all people, places and things mentioned. Each of these nouns becomes a new entity in your campaign. Try to link to these entities as you develop your game. If you like the four question deep lore method, consider giving it a whirl by crafting an entry or three for the Magic Items contest. Read the Brief Word section at the top of this newsletter for more information about how you can enter and what prizes you can win.